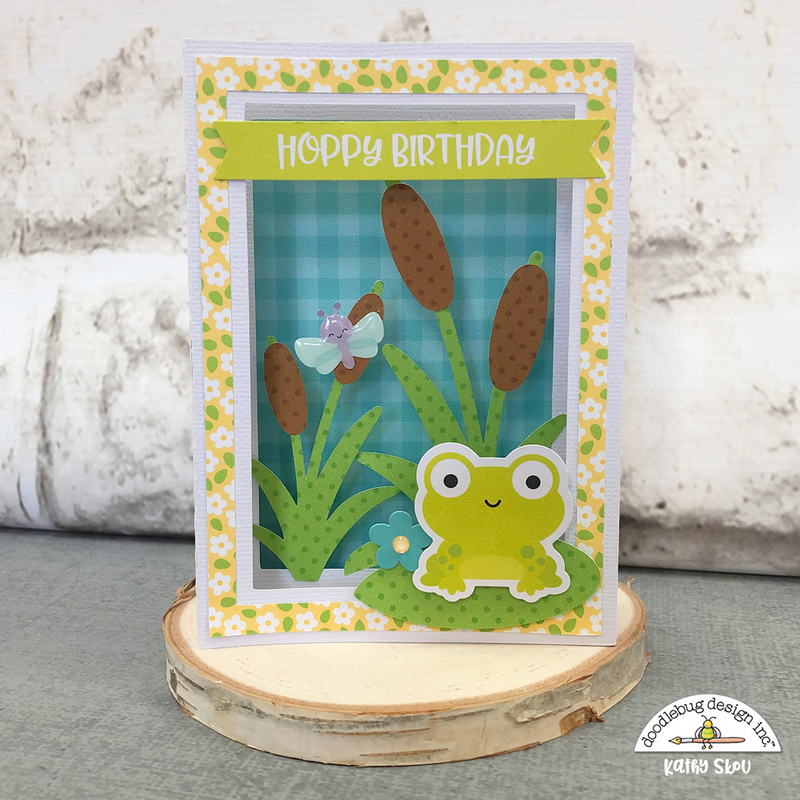 I love Shadow Box Cards, and the Odds & Ends Pieces from the Simply Spring Collection made it so easy to create fun little scenes. 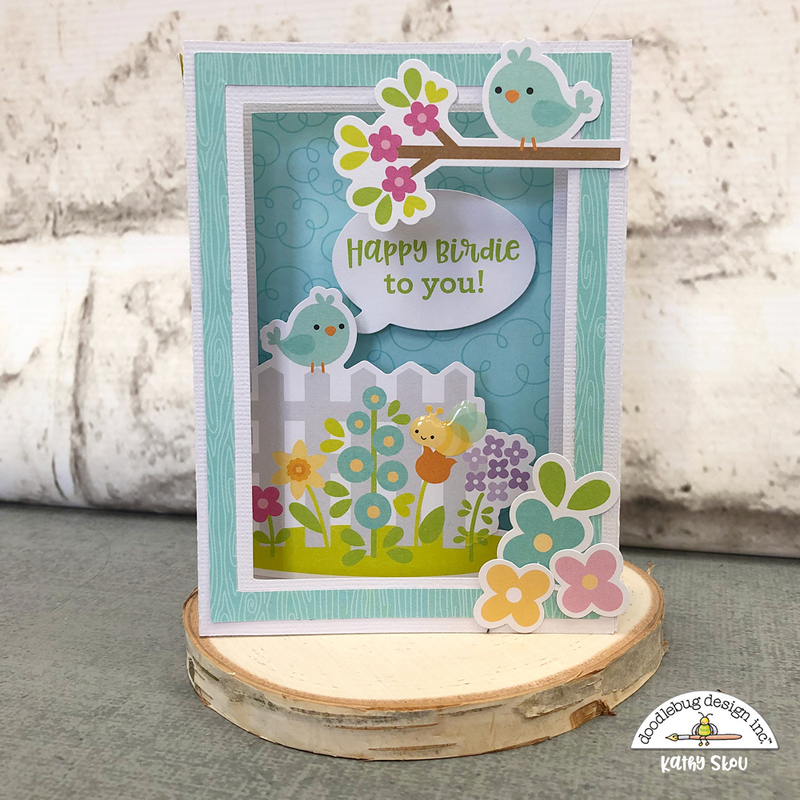 I started with the cute little blue birds, and the punny Happy Birdie to You sentiment from the Chit Chat pieces. How cute is that little bumble bee from the Little Critters Shaped Sprinkles?? My next card features the cute little frog from the Odds & Ends, and the Hoppy Birthday Sentiment. For my little scene I added a couple of Doodlebug cut files, the Fox Tails are from the On The Farm Cut File Collection and the Lily Pad is from the Pot O' Gold Cut Files. To finish it off I added the cute little dragon fly from the Little Critters Sprinkles. For my last card I used a lot of the flowers from the Odds & Ends to make a little "garden" for the little bumblebees to fly around. I also added a couple of the cute little flower shaped sprinkles from the May Flowers Shaped Sprinkles. I have so many more ideas for this fun collection, I may have to stock up on more!! 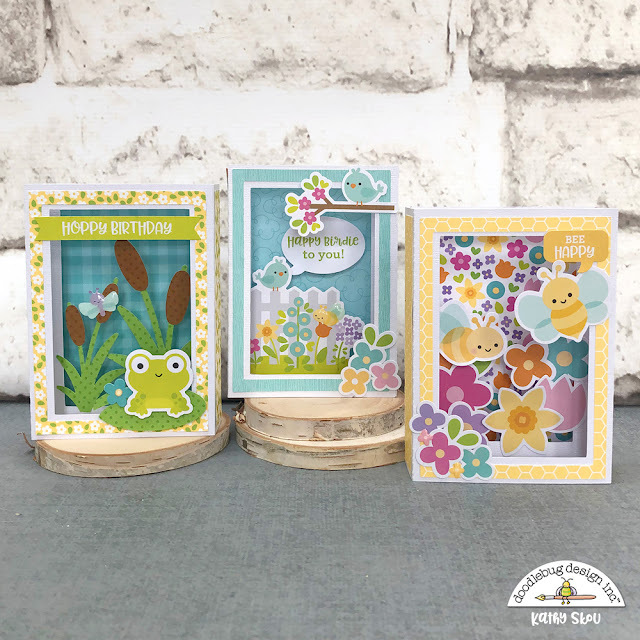 Have you made anything using the Simply Spring Collection? Be sure to tag Doodlebug Design on Social media, we would love to see your creations! That's it for me today, thanks for stopping by to peek! These are the CUTEST, Kathy!!! These are darling Kathy! Love the shadow box idea!